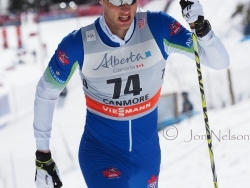 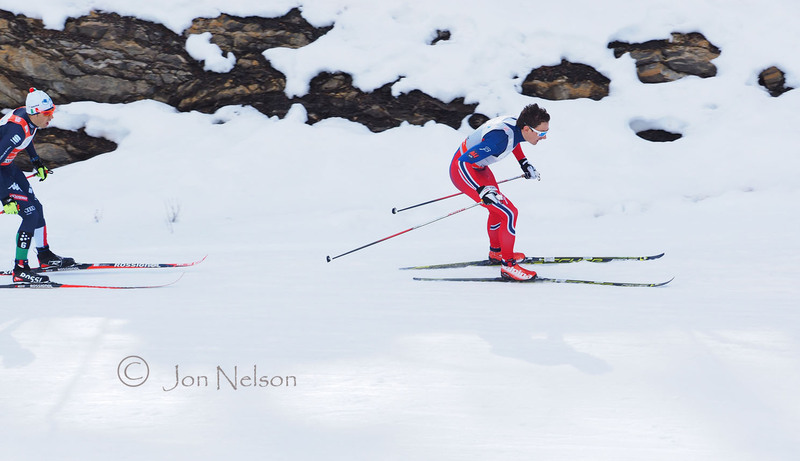 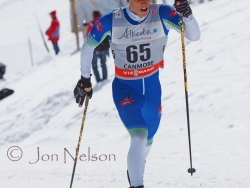 Posted March 23, 2016 in Cross Country Skiing Photography. 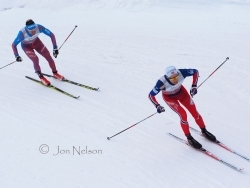 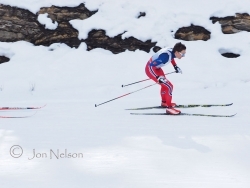 The Men’s Classic Sprint race followed the Women’s race and the temperature was warmer and the conditions tougher. The sprint course had a long uphill that had to be done twice so no one tried to double pole the entire sprint course using Skate skis. 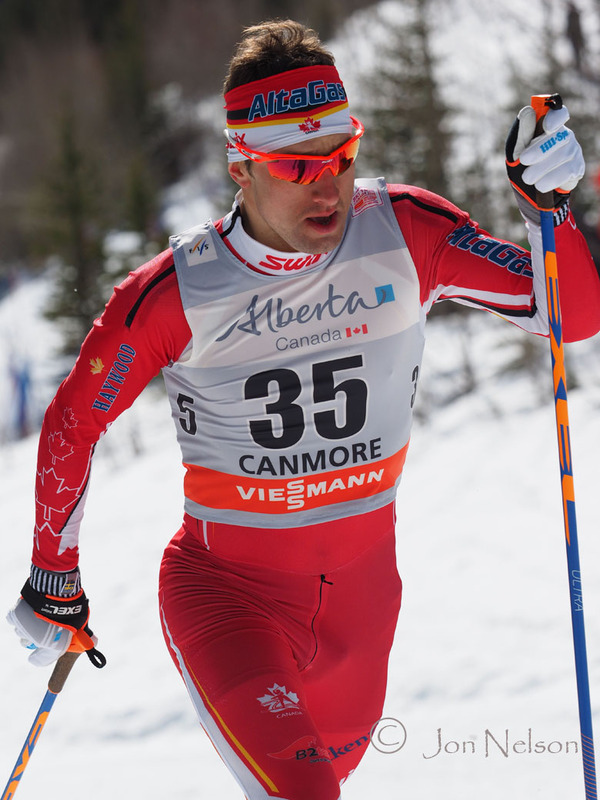 Federico Pellegrino won the Gold Medal, with Eric Brandsdal getting Silver and Maurice Manificat taking the Bronze Medal. 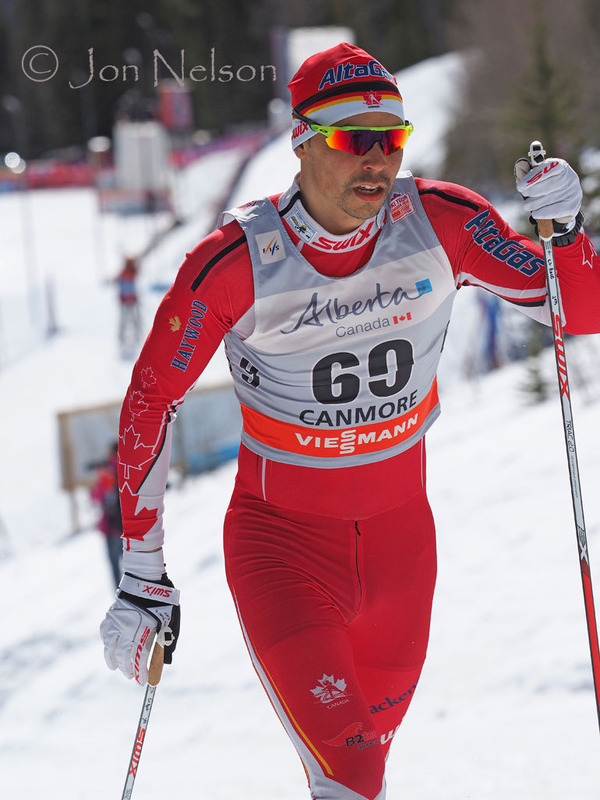 Ivan Babikov ,known primarily as a distance skier, is also known for his strength as a climber. 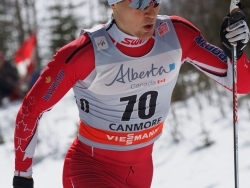 Andy Shields climbs the hill for the second time in the Qualifying round. 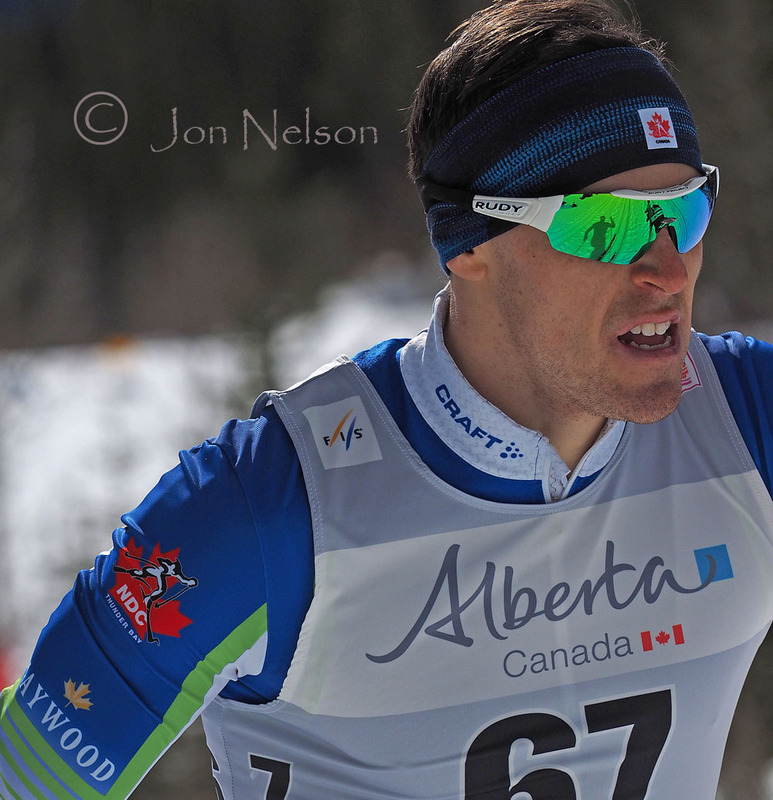 Bob Thompson, representing the Thunder Bay National Development Centre, works his up through soft snow. 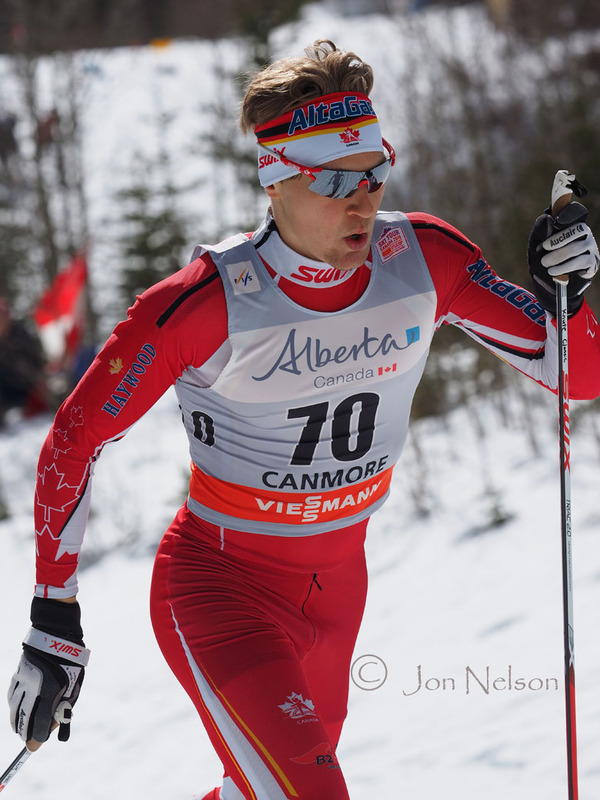 Michael Somppi and his reflection head up the hill. 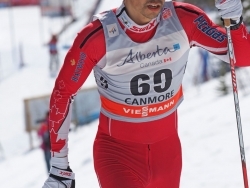 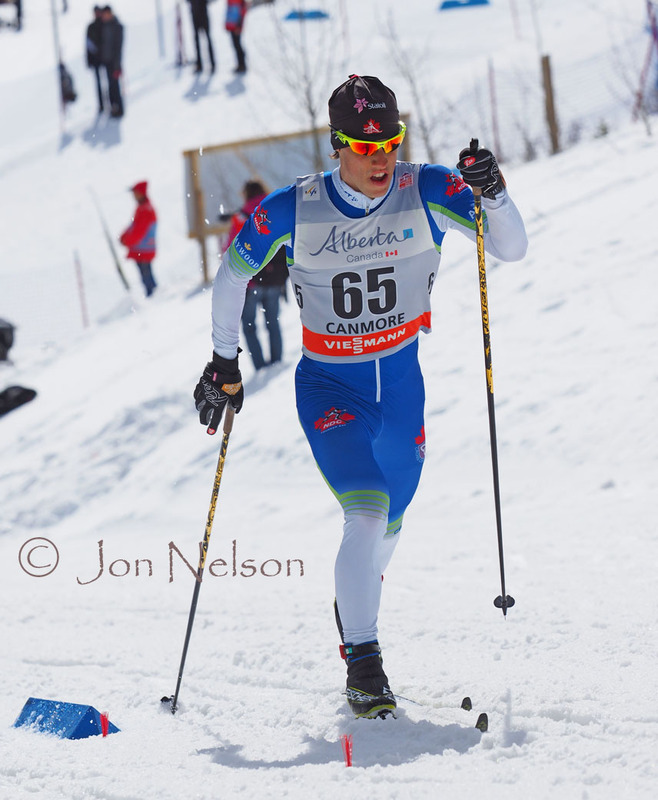 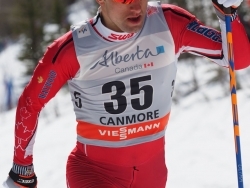 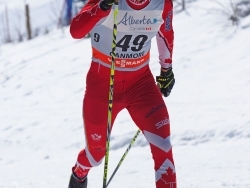 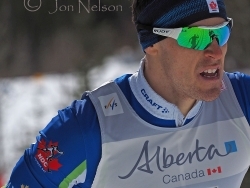 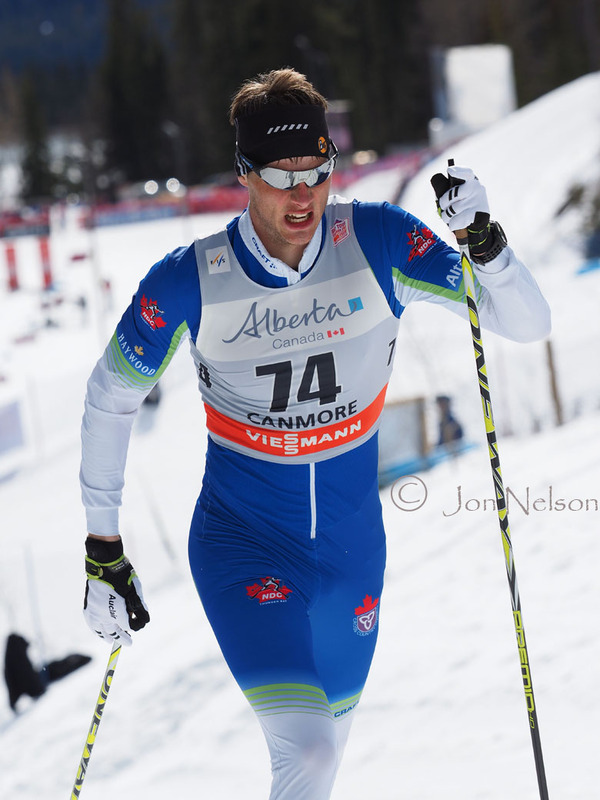 Jesse Cockney is on the National Team and skis for Foothills Nordic Ski Club. 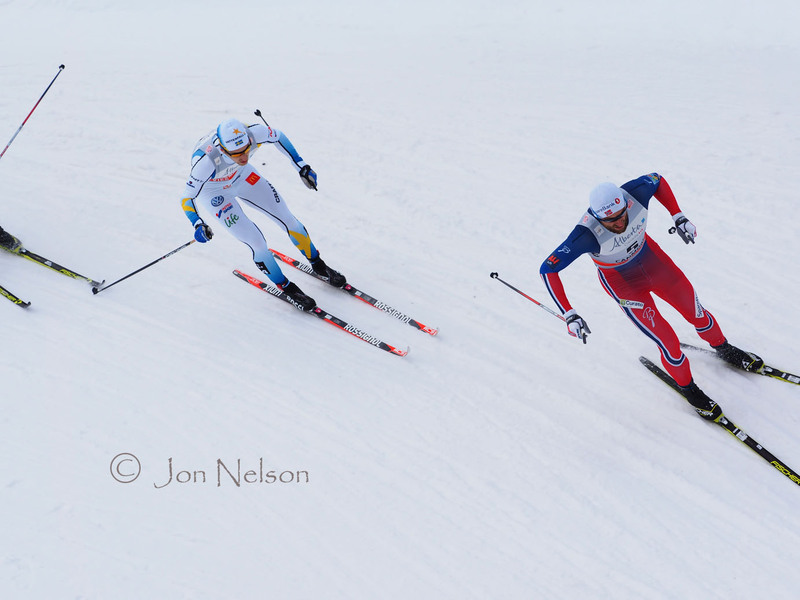 Knute Johnsgaard moves steadily up the long hill in the Qualifying round. Manificat leads in a race prior to his getting a Bronze Medal in the Classic Sprint. 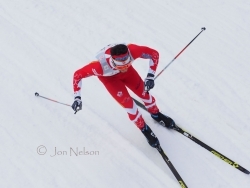 Photo taken from the top of the bridge as Alex Harvey passes underneath. 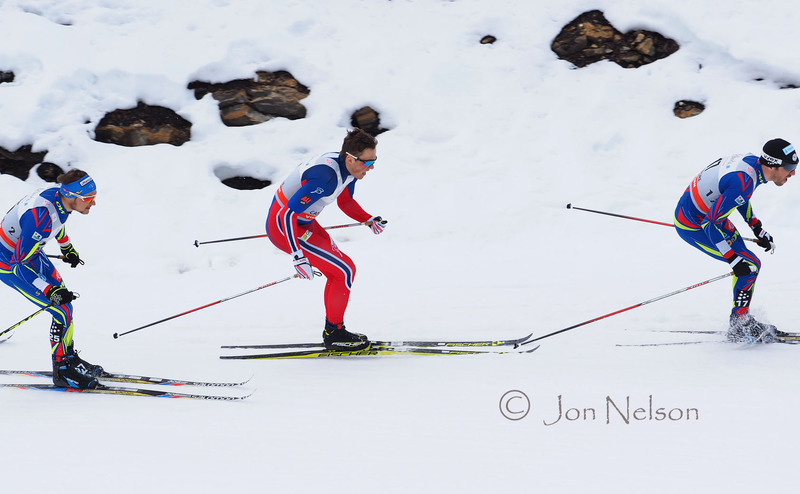 Petter Northug leads a Swedish skier just prior to going under the bridge. 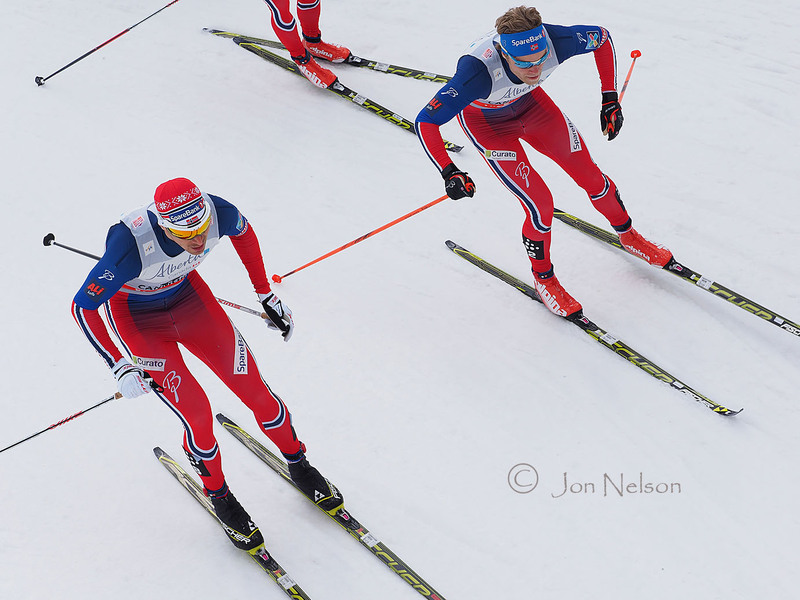 Norwegian skier leads heading into the final turn in a Semifinal race. 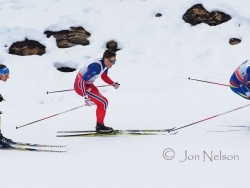 Norway's Ola Hattestad and Eric Brandsdal, here seen in a Semifinal race, cross under the bridge and Brandsdal will go on to place second in the Classic Sprint. 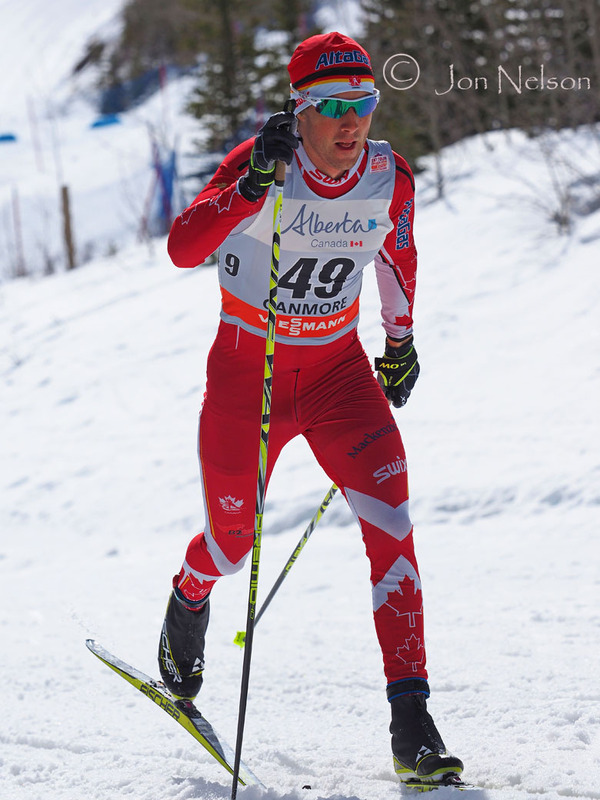 Frederico Pellegrino comes from behind to win the Gold Medal in Classic Sprint for Italy.